One YMCA, which covers the Hertfordshire, Bedfordshire and Buckinghamshire area and provides support across accommodation, family work, youth work, community activities and health & wellbeing. We are proud of our rich local, national and global heritage and we seek to live out inclusive Christian values through activities that cater for all ages, working with all faiths and none. Locally, our YMCA is a well-respected charity which serves some of the most vulnerable people in the community. * Children's Centre Family Support strategic oversight, early years education settings and children's centre commissioning environment to help us maximise our work with tens of thousands of families. This trustee will also act as Chair for our subsidiary charity, Early Childhood Partnership, based in Bedford, as well as being the trustee safeguarding link. If you feel you have the skills and experience to help us on our journey, then we look forward to hearing from you. 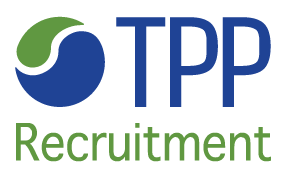 To find out more about this great opportunity or to request an information pack, please contact our retained advisors at TPP Recruitment: Brigitte Stundner or Rob Hayter at executive@tpp.co.uk. Alternatively, please call 020 7198 6060. The closing date for applications is 9am 9th August 2018.